A lawyer in one of Canada’s busiest housing markets is confirming a trend that costs some monoline clients more in legal fees, and he argues it’s up to his industry to change that. Brokers can – perhaps surprisingly -- count this lawyer as an ally, following the discovery of just how much other real estate attorneys are tabbing onto monoline files. “As a lawyer in Toronto I can confirm that many law firms charge additional amounts for monoline mortgages,” Mark Morris of Axess Law wrote on MortgageBrokerNews.ca, noting that he does not charge extra fees for those files. Morris says he has worked with monolines for over 15 years and those files have gotten easier with experience. That conversation was sparked after a mortgagebrokerNews.ca investigation identified at least one recent case where the client of a Toronto broker was charged an extra $100 “monoline surcharge” by their lawyer. A torrent of broker complaints around the practice has since been posted to the story. It’s a trend that has long frustrated brokers – one that has been reported across the country – and has influenced which lawyers they recommend to their clients. Like Dustan wrote, I learned over the years to develop my own short list of lawyers across the region I serve and do my best to encourage all clients to deal with one of those. Lawyers that focus on real estate transactions are familiar with the ins-and-outs of each lenders requirements and have already learned ways to streamline their conveyance process. It's often the lawyers who occasionally do real estate as part of their client service who are unfamiliar with diffing lender needs and find the process time consuming. I also invest some time throughout the year to connect with those lawyers to talk about things other than a file in process and establish a bit of a personal relationship with them. That can also result in some free legal advice here and there when needed. If I have established a relationship with the borrower as their trusted mortgage professional, and give sound reasons why I am recommending a specific lawyer for them, they will commonly follow my advice. I have noticed a high degree of frustration whenever the client goes back to their regular 'family' lawyer. The most frustrating is when the borrower has a friend or relative that works in a legal office and can "get me a deal on my legal fees". 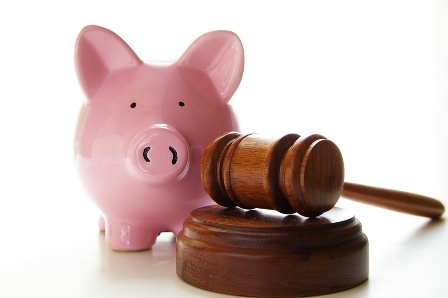 The $100 or $200 lawyers may charge is well worth the savings in potential future penalties for the client. I filed a complaint with the Law Society a few years ago when a lawyer began poaching files at the last minute. Not sure what came of it but lawyers hate when the Law Society comes knocking. Like most brokers I use a small circle of lawyers.